Shahaka means The Big White One. 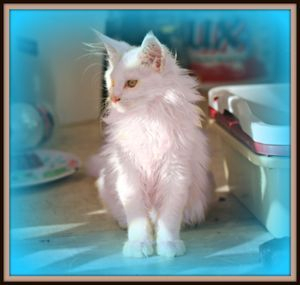 We have kept this little bundle of white as he was the sole survivor of Orpheous and Lacey's last litter. He is a very active and mischievous little man always running around and chasing the girls He has taken after his father as far as being a smoocher a truly wonderful nature and wouldn't hurt a fly.